I just got back from Comic-Con, and Holy Canole, that was cool. The best part was getting to meet and chat with a lot of awesome artists, and get super inspired. 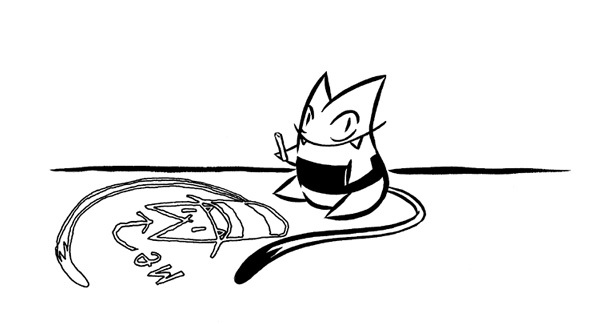 Thanks to everyone who traded sketchbooks or took a second to look at my portfolio. 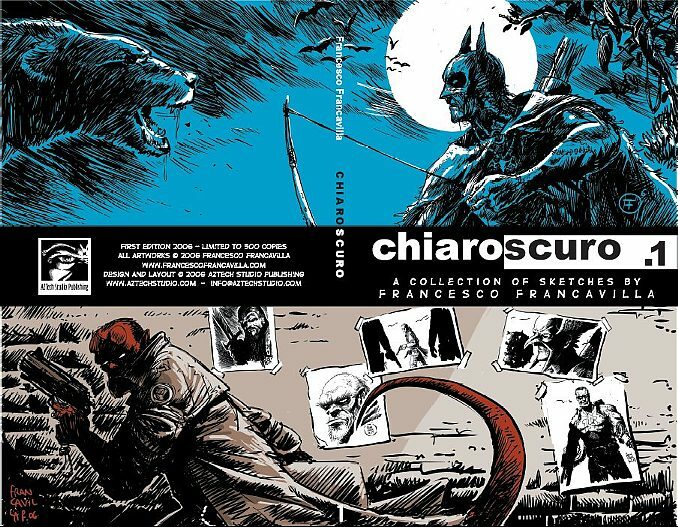 I had the chance to meet Francesco Francavilla and Steven Gordon and get their sweet sketchbooks. Stephen Silver had the only credit card reader of the lot which made him a couple of extra bucks from me, and he said my sketches had nice construction! He couldn't have given me a better compliment. Next door to Stephen was David Colman, whose booth I had the misfortune of finding after I had maxed out my Comic-con budget. But I shall prevail with a David Colman sketchbook in the end! I was blown away by Chris Sanders' sketchbook, and I watched over his shoulder as he worked some magic with his Faber-Castell Polychromos pencil. He said the leads are stronger than prismacolor and are much less prone to shatter. And like it was nothing, he said, "Oh, yeah Glen Keane tipped me off to these." I'm ordering some of those pronto. I expect nothing less than to draw as well as Chris once I break them out. 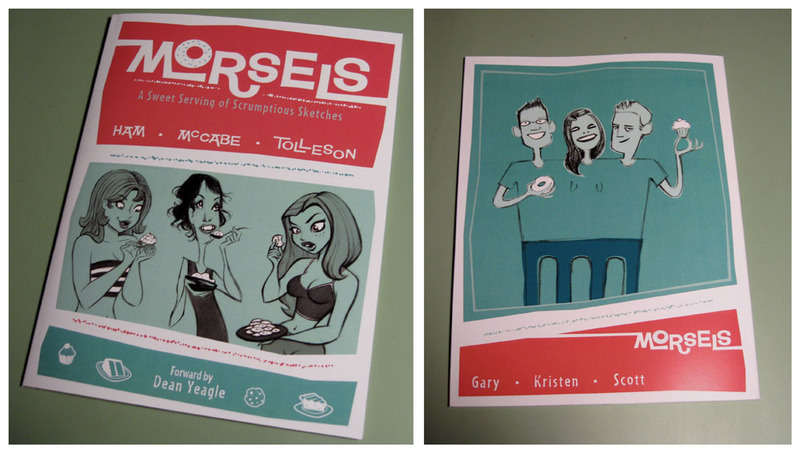 I picked up the "Morsels" compilation from Gary Ham and Scott Tolleson, and Dean Yeagle made the most generous sketchbook trade of the Comic-Con by swapping me for his Scribblings sketchbook. Some of the best moments of Comic-Con we're the unexpected finds like Lark Pien's Long Tailed Kitty, and Jordan Crane's The Shortcut. I gave Long Tailed Kitty to my wife, who had just found out that her cat Peeko died. It's a beautiful story about a cat who gives up one of her nine lives to help someone out. After I bought a copy of the shortcut I had to run back and buy another copy for my brother, cause I knew he'd dig it. The biggest disappointments were showing up late to the Judge Dredd retrospective with John Wagner and Brian Bolland and missing out on the Sketchbook Sessions sketch session. Judge Dredd is where my love for comics started, and it was one of the few seminars that was a must see for me, but alas, I wrote the time down wrong! And of course, it was awesome to see finally see Kohl Glass's Der Ostwind. I believe Kohl is going to have the entire thing on the web soon, but until then check out the trailer. Well Comic-Con has got me pumped to complete some personal projects and spice up my portfolio. I'll be posting as I go through that process. Thanks again to everyone for all of the inspiration.